In India, SMB is a generic term used to describe small and medium scale business units. These Small and medium-sized businesses have an exceptional access to new markets, suppliers as well as customers. Due to all this SMB sector in India is growing at an outstanding rate and has the potential to be one of the prime drivers of the burgeoning Indian economy. Furthermore, it’s truly a global marketplace as 1.5 million SMBs export their products or services outside India, which is an indication of the sector’s brisk evolution. The sector is growing to be the leading employment generator in the country and signifies the true entrepreneurial spirit of the Indian business segment. It is clear that small and medium businesses (SMBs) play a vital role in India’s growing economy, contributing a third of the country’s overall GDP. Hence, new age SMBs require highly developed technologies and access to the world wide web for fast growth. However, SMBs face some challenges when it comes to technology implementation and management. Few of these major challenges are access to capital and the lack of in-house IT proficiency. As a result, SMBs yearn for ‘easy to use’ products and solutions available at attractive price points, which will help to compete effectively, manage the business and grow the bottom line. Besides this, SMB needs real time monitoring, 24×7 IT support and instant troubleshooting issue which helps them to overcome any likely issues during the course of business operations. And most of the SMB customers face problems of cost containment, power cuts and bad network connectivity, which may not be an issue for city-based organizations. To address these different needs, technological upgradations and in-house technological innovations need to be encouraged deliberately and consistently. Unified Communications: Unified Communication (UC) is like a boon for SMBs who are acquainted with the need to move away from traditional telephony systems. This system helps in tying together video, voice and mobile applications on a single network for ease of use and management. Above all, unified communication is useful for SMBs with branches spread across multiple locations and employees who log in remotely and are connected with global supply chains to support their customers. Cloud Computing: Cloud computing permits SMBs to outsource their technology needs to a third party provider so that they can concentrate on running their core business. Data Consolidation and Management: SMBs are increasingly looking to get away from older, legacy architectures to newer solutions which offer more planned and comprehensive tools that are better associated with their business needs. Data Consolidation and Management helps in protecting critical business data, including data backups that cut down the risk of data loss from unforeseen events. Virtualization: SMBs are rapidly implementing virtualization and achieving significant benefits in a number of areas. The reasons cited for virtualization are to improve server utilization, to reduce or contain the number of servers, to increase security as well as availability and to get better data backup and protection. Undoubtedly, technology facilitates SMBs to grow and compete at a global level. SMBs are increasingly becoming aware that they need to map their needs carefully so that technology solutions are associated with business goals and aggressively adopt technologies that helps to achieve profitability. 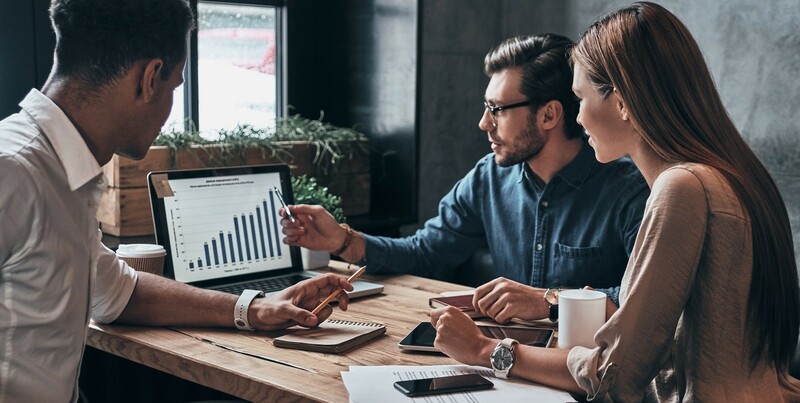 The bottom line is SMBs should take a closer look at technology options that can increase efficiencies and drive down cost.